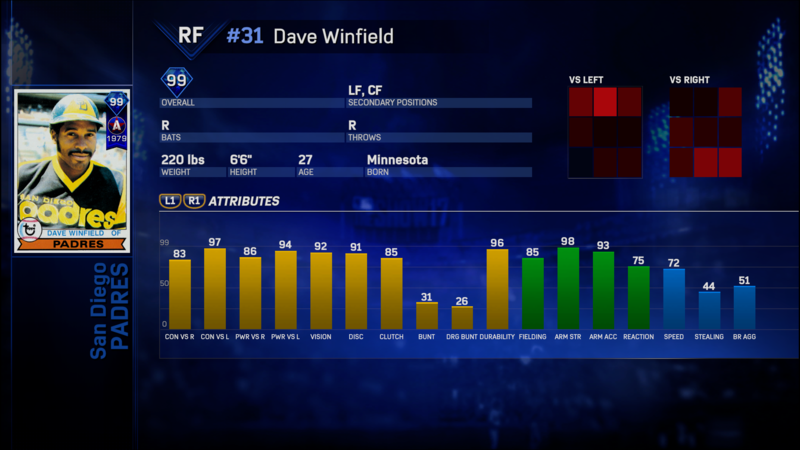 The new Halloween Epic rewards All-Star Legend Dave Winfield (Diamond, 99 OVR RF), who was one of the most impressive five-tool athletes during his playing days. To acquire him, complete all three parts of the Halloween Epic. Along the way, you will earn Stubs, XP, Tickets and a Halloween Pack. The final reward is Winfield’s 1979 Legend player item. During that All-Star season, he smashed 34 home runs, drove 118 RBI and won his first Gold Glove award at age 27. In the Show Shop, the new Halloween Pack guarantees one Halloween equipment item and three other player items. 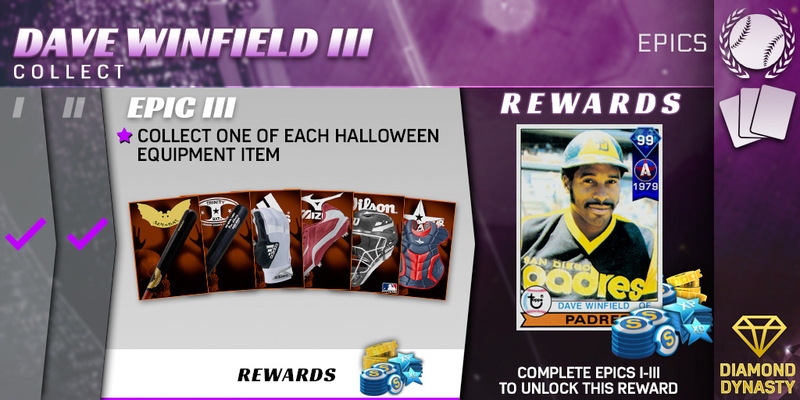 There are six different pieces of Halloween equipment to collect in the Halloween Epic for Dave Winfield. The equipment can be bought and sold on the Community Market (Tip: use the Rarity filter and select Halloween).